Heat exhaustion means your vital organs aren't getting enough blood which leaves you light-headed and weak as well as thirsty, headaches, fatigue, and clammy skin. 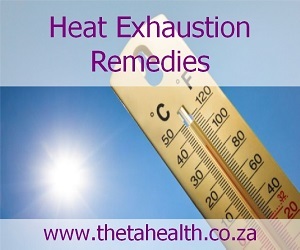 If you're prone to heat exhaustion then try our heat exhaustion remedies below. We have natural health products and vitamin supplements for heat exhaustion.